It was one of those warm summer days when your left arm rested on the car door with the window rolled down no matter how conscientious a driver you were. The radio was on. The radio was always on. Vicki sat in the passenger seat with her right arm resting on her door. It was 1982 and we were soaking in as much of that sun as we could. I liked music in the car whether I was the driver or the passenger. So when the news came on I only half paid attention. But what was that the newscaster just said? 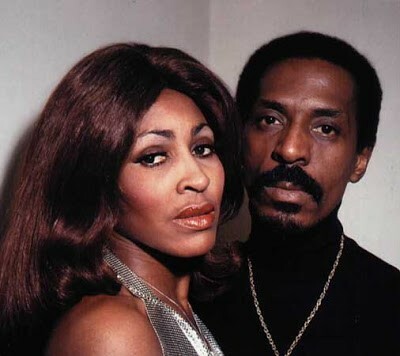 It was a sad day in music when Ike and Tina Turner broke up years before, ending an act that as small children, my brother and I watched on The Ed Sullivan Show. Tina was tough, energetic and could belt out a song wearing the skimpiest of costumes for the times. And she could dance. She was a tremendous influence on me. Tina Turner, Emma Peele and Honey West. Now, please remember that Tina’s big comeback was in 1983, and we didn’t learn that Ike had been beating her until the release of her autobiography I, Tina in 1986. So in 1982 I was very happy to hear that Ike and Tina were thinking of reconciling and of course would be performing together again. I just couldn’t understand why Vicki seemed to not share my enthusiasm. I glanced at her quickly as I’ve never been one to take my eyes off the road for any length of time, but it was still long enough to notice the quizzical, if not dumbfounded look on her face. Well, I knew enough, but not that summer. It was a lazy, laid back few months for me, while Margaret Thatcher and the UK were tussling with Argentina over something called the Falkland Islands. I like to think it was not so much that I was unaware of current events, just more able to predict the next music phenomenon like Tina’s recapturing the hearts and souls of millions of us at the age of 44 with her cover of Al Green’s “Let’s Stay Together” then her album Private Dancer, from which my favorite song was “Better Be Good to Me.” Unfortunately, I have no Tina Turner albums, tapes, CDs or even singles, with or without Ike, but I’ll bet she’d be great to workout to.